One of the most attractive aspects of baking is that one can easily make use of a plethora of different ingredients. As such, my rediscovered penchant for savoury oven antics shall soon find itself with broadened horizons. 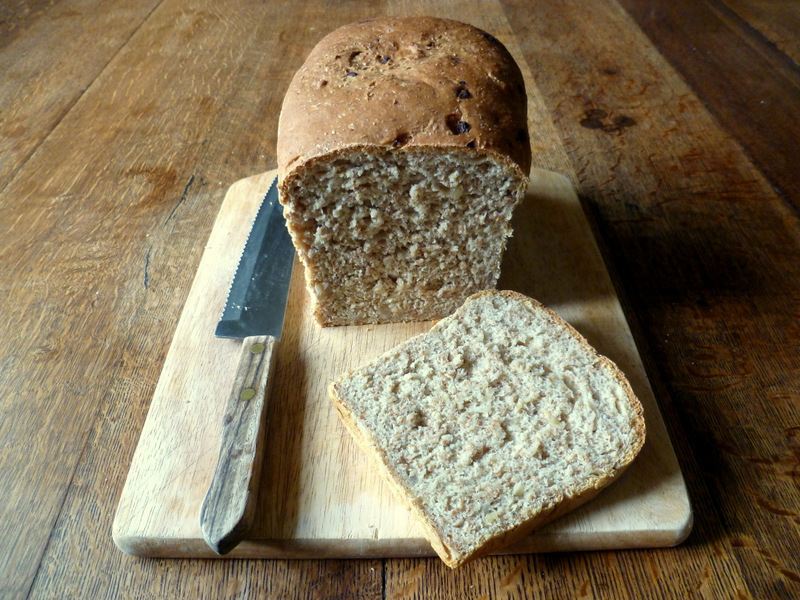 After all, there’s no fun in baking exceedingly delicious bread, if it doesn’t have a personal and interesting twist. There’s nothing wrong with indulging in a little dull bread from time to time, but doing so is merely functional when compared with the eating of more complex loaves. Now, before you all rush for your collective soapbox, I ought really to further clarify my position. I’m not purporting the stance that bread which is both monochrome in both colour and flavour isn’t delicious, or fantastic, merely that a little extra is required to satisfy my intrigue. Granted, onion isn’t the most remarkable ingredient to employ in the baking of bread, but its flavour comes through magnificently. The secret to making good-quality onion bread is to ensure that the vegetable has reached a decent stage of caramelisation before it is kneaded in. In making certain of this, one can be sure that the eye-watering flavours of raw onion will have been replaced by a certain rustic sweetness, helped along by only a modicum of sugar. It has to be admitted that there was a lack of certainty regarding the use of only one onion. However, the dark sweetness it instilled shone through unimpeded. This must have been facilitated by the oil in which the onion was cooked, since the flavour of the vegetable would have permeated it entirely. There appears to be a little confusion surrounding the lack of a second rise in my bread recipes. As far as this baker is concerned, there are two schools of thought on the matter. One takes my approach; the other takes the longer method. Frankly, I have never been able to discern a difference between bread that has risen only once and bread that has been knocked back and allowed to rise again. Ignoring the fact that the second method sounds uncannily like the story of Easter, one need not focus too heavily on the rising process, so long as it is given a lengthy first rise. Indeed, by far the most important consideration to take into account when making bread is the kneading of the dough. The kneading is what assists the bread in its growing endeavours and ensuring a good knead will almost certainly guarantee a sumptuous texture. 1. Begin by frying the onion in a little oil. After 5 minutes add a pinch of sugar and cook until they begin to turn brown. Take them off the heat and set aside. 2. Place the yeast in a bowl along with a splash of warm water, set aside. Put the flours and salt into a bowl and mix thoroughly. Tip in the yeast after it has been left standing for 5 minutes, a drizzle of oil and ¾ of the water. Bring the ingredients together, it should be sticky and malleable, but not wet; the remaining water may be needed. Knead the slightly cool onions into the dough, this should consume no less than 10 minutes of one’s precious time. Grease a 2lb loaf tin, shape and place the dough inside. Cover and leave to rise for around 1 ½ hours. 3. Preheat the oven to 200C. Bake until brown, the bottom should sound hollow when tapped. This should take between 30 and 40 minutes. Turn the loaf out and leave to cool for around an hour. Cost: The bread, like my last and all of those that will follow it, was extremely cheap to produce. Indeed, once one has a collection of flours, it’ll feel like no money is being spent at all. The entire loaf, which is rather filling, should set one back no more than 55p. Lovely. You must try it, Cecilia! I do like your combination though. I’m not a big bread eater but the onion sounds very good. But you live in France! Thanks. Yes, you do – it’s delicious. Try sundried tomato and use the oil from the jar mmmmm. I love onion bread as well. Well done again. 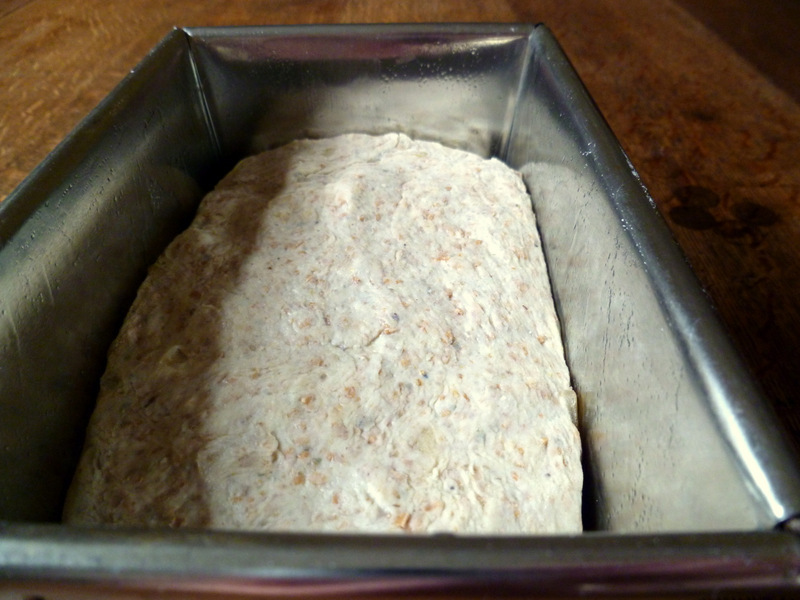 I must have known you we going to make bread as we have a batch cooling and one about to go into the oven! Good idea! I do love the oil in the jar. I hope your bread is nice. I agree with theglobalgarnishgeek above. Your breads always do look fantastic and I totally agree with you – I love plain loaves, don’t get me wrong, and they are perfectly tasty and functional and they create half of all the loaves I make (since i don’t buy bread, this is maybe a loaf per week) but I do appreciate some variety in my daily staples and bread is one of the easiest recipes to do so with. The variety is huge! Thank you, once again, for a lovely looking loaf. Thanks, Juls! always so full of compliments :D. You’ll get another early next week :D.
I love the idea of the onion in the bread – fantastic with a lovely slice of tangy cheddar! Oh you must! Baking bread is one of the most enjoyable things about cooking. Also, I love “a modicum of sugar”! Thanks! Let’s hope my next, which will be here in a few days, is deserving of a similar response. Ooo! I love good onion bread, and this one looks delicious! This sounds so lovely… what would you recommend serving it with? Thanks! A very mature cheddar cheese! Thanks! Oh well, I like to live on the edge. It does – it’s a really exquisite flavour. This looks fantastic!!! This would be great with a tomato bisque! Thanks, Kellie. Oh my, that would have been delicious. What a beautiful loaf of bread. The onion must have given it a lovely flavor. Thanks! It really did. The flavour permeated the entire loaf. Thanks! It was absolutely delicious, particularly with cheese. 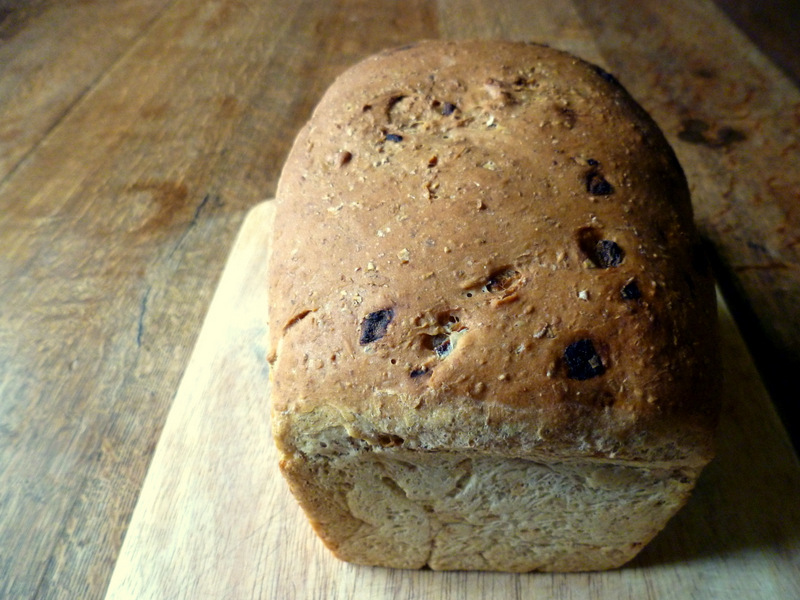 I have had trouble making a savoury loaf with mostly whole grains that was tasty. Looks like this fits the bill! Thanks! 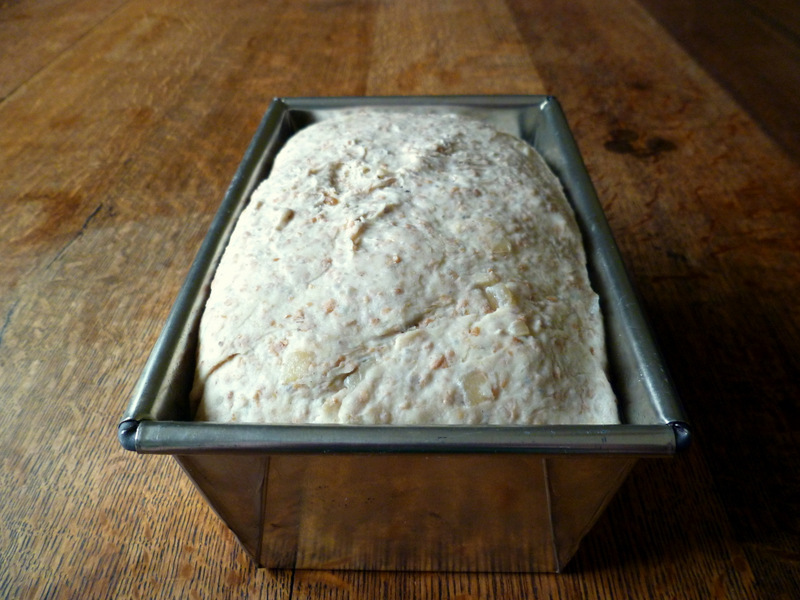 I wish I could send you some of my sour starter and get you to try my ‘no-knead’ bread. I’d love to see what all you could do with it. Although my recipe is no knead, I often find myself playing with the dough because I love how it feels so alive. Thanks! I wish you could too! I’ll have to start my own culture. Really? That’s very impressive, Celia. Love caramelized onions in anything and can imagine they make this loaf delicious! They really do! I adore them too. I am so close to starting to make bread again after seeing this one! Gorgeous! You should – it’s so worth it! I am so glad you said the part about not needing to keep knocking back I always do double the kenading time though as I am not a good kneeder. I feel much better now! It just isn’t necessary. One should knead as much as possible though! Love this loaf. Will definitely give it a try, I’m in a bit of a bread-making phase at the moment. I am new to your blog and what really interests me is the idea of just the one kneading. Thanks! Me too. Do you mean the one rise? But yeh, whatever, it’s the way forwards! Thanks, BAM. It definitely isn’t an exception. Ooo… we are from different bread schools of thought aren’t we? I remember this from a bread post I did. I put less emphasis on kneading, but do believe in the double rise. You knead more, rise less. I’m going to have to test this out. Does your method stand for sourdough too? Indeed, we are. I have no idea, I’ve never made it. I’ll get round to it and let you know, Aimee. Looks wonderful! 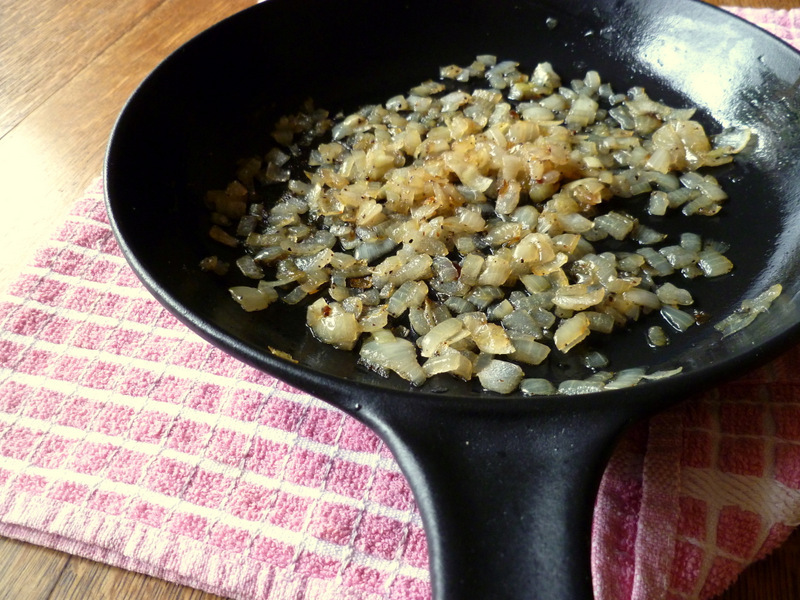 Plus, I’m glad you didn’t say that caramelizing onions takes only 5 or 10 minutes. Great article about that at http://slate.me/JOrUWz. Oh no, it definitely takes longer! See my caramelised onion quiche recipe! Ohh swoon. This bread looks so good. Hmm. Either a couple of slices of very mature cheddar cheese, or simply a little butter. The taste of the loaf is pretty vivid. Deeelicious. It’s been far too long since caramelised onions, I think it’s time to revisit. This loaf would be lovely teamed up with a bitey cheese. Oh do. Yes a really nice mature cheddar – only if it’s British though. Thanks, Villy. Yes, I expect to see variation :D.
Now this is my kind of bread! Divine! It was lovely. Thanks, Mandy. I “knead” to try this recipe, I can already smell it coming out of the oven! Nice joke :p. You do! Oh no! Keep at it, you’ll get there. Thanks for the award! I believe you on the first rising thing. I am less sure about the Easter thing…. Hahaha! 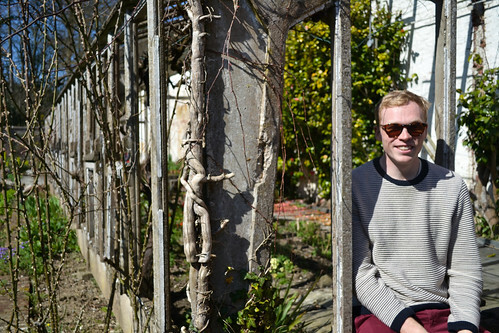 Frugal you crack me up! I too have always wondered why I needed to give my bread a second rise. Despite not having a second rise, your caramelized onion bread looks divine! I think I can even smell it! Thanks! I hope I’ve dispelled the myth of the second rise. Thanks, Shira! I just don’t know, haha. Yes, that would work well. A beautiful loaf of bread! Love the caramelised onions anything! Thanks! Aren’t they just so gorgeous?! That looks fantastic, must try it! This bread looks beautiful! I just tried making my own recipe of this, and I am hoping you can help me with something. I noticed that the onions that are exposed on the outside of the bread burned way too quickly, and by the time my bread was done baking, the onions were burnt to a crisp. How did you protect your exposed onions from burning so quickly? Hi Amie – I’m not really sure what to suggest as mine didn’t burn. Perhaps try a slightly cooler oven, or cover loosely with foil toward the end? !